I just responded to that question on Reddit. I decided it was a worthy enough question to put here. The person who asked the question refereed to a study done by Princeton I believe. No I didn’t read it. Far to often studies are set up to prove a bias. I have an opinion already and am going to give it here. All the responses I read said no, mostly because we elect new people all the time or who does or does not have money or something on those lines of thinking. I say yes. All the responses missed the big picture. If you look at our politicians individually, it is harder to make the case. The problem is that our politicians are puppets. 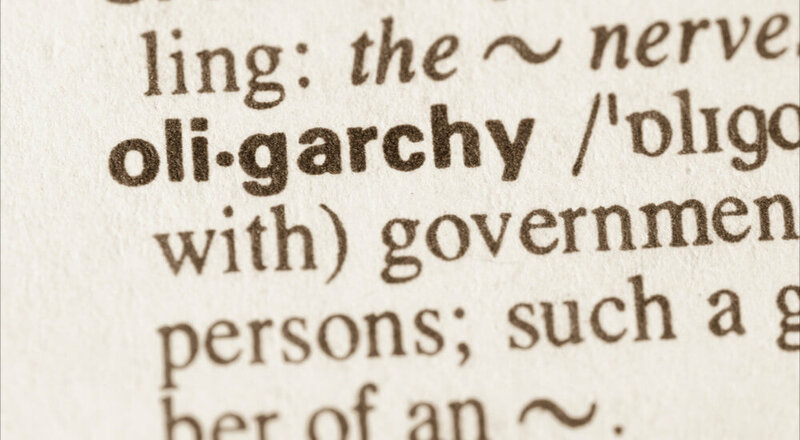 The small group of leaders that make up the Oligarchy are behind the scenes. The ones pulling the puppet strings. People like the Rockefeller’s, Rothschild’s and the others behind the Federal Reserve. The donar class. George Soros. They are the ones that are really in charge. The original question then asked if Oligarchs undermine Democracy. Ah, yes. It undermines <em>all</em> political systems. The Founding Fathers believed the best way to keep it to a minimum was to have a small Federal Government leaving most of the power to local communities. It is harder for an elite group to rule everything when power is spread out. They would have to infiltrate 50 States and thousands of communities. But with a <em>big</em> Federal Government they can control us all. Big Government is a magnet to corruption and opens the door to an Oligarchy. The problem we face in this election is way too many people think Socialism will stop it. It won’t. The Oligarchs are controlling the election to elect people who will do their bidding. More power to the Federal Government means more power to the Oligarchs. Just a country boy from Wisconsin who wants to get in the fight for our country.